The first chapter of the book is all about Banda Abou's amazing nature, from a big hole in the ground -were you can hear Mother earth breathing-, the red earth of the Hato Plains, the hidden treasure 'Houtjes Baai', the Jan Kok Salt Pans, to the hiking trail at Plastic Bay. In this blog post we share with you an amazing piece of nature, Curaçao Christoffel National park. In a future blogpost we will interview her. Get you some information about her background, the booklaunch in Curaçao and her favorite parts of the new book, Curaçao Banda Abou. Over thirty million years ago, an underwater volcanic eruption shifted the ocean shelf beneath Curaçao and created the higher altitude region currently known as Christoffel National Park. The climate is moister than it is in the lower-lying parts of the island, creating an environment where rare species of plants and flowers can thrive. In the beginning of May, visitors can catch the intensely yellow, trumpet-shaped flowers of the Kibra Hacha in bloom. “Kibra Hacha” means Axe-Breaker, a name earned because the wood of the tree is too strong to chop down. The Orchid Trail also takes hikers past the Landhuis Knip (see chapter The Arts) plantation. Before the park was designated as a conservation zone and opened to the public in 1978, the grounds belonged to four separate plantations: Savonet, Zorgvlied, Knip and Zevenbergen. The former ruins of these plantations, which include old wells and irrigation systems, can be seen from either the Santa Cruz Trail or the Zorgvlied Trail. Another impressive feature of the park is the collection of Indian rock drawings, located by the caves near Boca Grandi in the east. These drawing are thought to date far back as 4,000 years, when the region was still a settlement for the local Ariwak tribe. And yet the undeniable star attraction of the park is Mt. Christoffel, the highest point of Curaçao at 375 meters above sea level. The strenuous, one-hour climb to the top should only be attempted in the morning, before the tropical heat becomes too punishing. Along the route, hikers will wander past lichens, bearded moss and iguanas. Few may also encounter rare wildlife such as the white-tailed deer, nectar-feeding bats and the Wara-wara eagle. The view from the peak, a sweeping panorama of the entire island, is simply breathtaking. The book is available for purchase in bookstores, art galleries, and souvenir shops in Curaçao. For a list of al the sellingpoints, click here. Want to see a sneak peek of the inside, click here. In Holland the book will be available from the webshop October 1st and from October 14th in the bookstores and bol.com. The price of the book is NAF 55 (excl. OB) or EUR 24,95 (incl. BTW). Get a package of Curaçao cards at the shop (e.g. Bruna in Zuikertuin mall) or via the webshop. There are 3 different types of cards, Beaches, Houses and Nature is used in this tutorial. You can also use one of the other sets, Curacao Houses & Flowers set or the Curacao Harbour set. All sets contain 10 cards. 1 card with a collage of the other 9 cards. We use this card as an example lay out for the photo collage in this tutorial. Step 2: Buy 10 frames size 14 x 14cm. Get 10 x 14 by 14 cm (5 1/2 by 5 1/2 ") frames. The clips from IKEA are used in this example, and there are many other nice ones to choose from! You have to buy 3 packages of 4 frames. Step 3: Clean the glass of your frame. Clean the glass. Get some computerscreen wipes (here we used the ones from HEMA) or window cleaner and an old cloth and clean both sides of the glass. Dry it with a piece of old cloth. Step 4: Remove the 4 little rectangles and eye shape. Remove the little rectangles and eye shape. Press the bigger shapes a bit back wards. In case you want to use the frame standing instead of hanging, you can easily put the stand in place. Make sure you have the bottom of the stand in your left top corner. In that way when you put the card and glass on top and put the clips on, the stand is in the right position when you turn it around. Make sure you have it in this position. Press out the little pieces so you get holes as shown in the picture above. Also press back the two bigger shapes. Step 5: Put the glass and card on top and fasten with clips. Put your card on the carton and the cleaned glass on top. Turn the whole thing aroung and get your clips. Get your clips out of their little bag (there are 4 in one bag). In case you cannot find them, they are hidden in the white cardboard box (see second picture). If you cut it open you see 4 little baggies with clips. Put the little piece on the glass and click the other part in the rectangle shape. Repeat this till your done. If it is still not clear how to assemble them, check out this video. From behind it looks like this and when you turn your frame around you get this :-D! Repeat this process till your done with all the cards. Put them in 3 rows of 3 and voila there's your wall collage ready to hang! You can hang them on your wall or fold back the standard and put them upright. Another cool way of displaying them is with a photo holder I will show an example of that in another tutorial! Here are some cool ideas how you could use the cards in different kinds of wall displays. Do you want to use this tutorial in your newsletter or website? Starting October 1st, 2012—the NEW book Curaçao Banda Abou will be available for purchase in bookstores, art galleries, and souvenir shops on Curaçao island‐wide. For sales in the Netherlands & Europe please visit our webshop. Please look here for a sneak peek of the book! 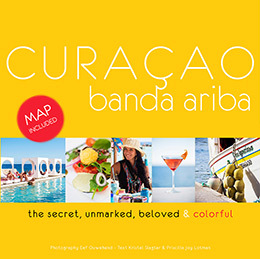 The hidden treasures of Banda Abou | NEW travel and leisure guide Curacao Banda Abou by Divas Publishing Inc. In search for a comprehensive, stylish, and creative read that tickles the senses and urges you to explore Curacao? Divas Publishing, Inc. proudly presents its second published book: Curaçao Banda Abou - a sequel to their first book about the island. The second book serves as a complete and elaborate guide to Curacao's western region, Banda Abou. Capturing in words and image essentially what makes life in Banda Abou so incredibly special. The essence of Curaçao's uniqueness comprises far more than the sun, sea, and sand that a paradisiacal island has to offer. With this in mind, Curaçao Banda Abou delves deeper into the island's cultural richness with content ranging from interviews with influential island artists to spectacular dive spots, unique local dining and architectural marvels out West. Curaçao Banda Abou also contains insider tips from locals; this is also what makes the book so authentic. Alongside interesting and descriptive texts on featured island locations, are tasteful photographs of some of Banda Abou's most majestic and colorful sites. Including panoramic views along the northern and southern coasts of the "Land Down Under" (Banda Abou), and native inhabitants (ranging from participants of the Karnaval parade, to our island's beautiful wildlfie). The book also includes a map of Banda ABou, listing the locations mentioned in the book. A comprehensive manual, so to speak, containing insight into the fabulously simple lifestyle of the West. Book two caters not only to the adventurer and nature-lover, but the "stylista" and foodie alike. After having turned the last page, readers will have obtained the urge to get up and explore the region themselves! Kristel Slagter, both a corporate lawyer and entrepreneur, has a passion for the arts, and is finally able to carry out her dream of publishing creatively styled products. 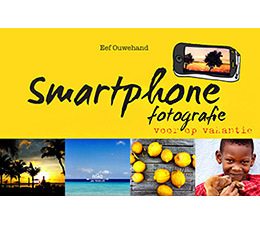 Eef Ouwehand, a professional photographer specializing in portrait and comtemporary photography, is the master behind the creative images displayed in the book. Author Jennifer van der Kwast is the writer behind the many texts featured in the book. Starting October 1st, 2012- the book will be available for purchase in bookstores, art galleries, and souvenir shops in Curaçao. For a list of al the sellingpoints, click here. Want to see a sneak peek of the inside, click here. In Holland the book will be available from the webshop October 1st and in the bookstores and bol.com from October 14th. 2012 calendar | Buy 1 and get 1 FREE! | curacao Divas Publishing Inc.
Oh boy, 2012 goes fast! What happened to January? Where already half way trough February, so time for a SALE on the remainder of the 2012 calendars! If you BUY ONE 2012 calendar you GET ONE FOR FREE! Hurry over to the webshop and use the code: #2012 @ checkout! Please write in the comments which one you want for free (if it is a different one from the one you've ordered). SNEAK PEAK | New Products Shipping to Curaçao @this moment! Divas Publishing, Inc. presents colorful calendars & postcards! We have been working hard on some new products! Postcards, Birthday Calendars and 2012 Calendars with pictures of Curaçao. Curaçao’s aqua blue waters and beautiful beaches, the Caribbean gem’s bright natural colors, the capital’s Unesco’s World Heritage listed architecture are captured by Eef Photography. Bring home your Caribbean memories! The cards can be mailed to your loved ones or brought home as a souvenir. Create your own wall art by framing each card or by designing a photo collage. The cards can be used for your scrapbook or photo album as well. The calendars are a perfect gift for your family & friends or business relations. We'll update the site with sellingpoints as soon as the products have arrived in Curaçao and also when they are available in the webshop! Book available in US via Amazon.com! Just a quick note to let you know that our book is also for sale via www.amazon.com. 3000+ Curaçao books sold :) ! In the 1st 3 months we've sold 3000 copies of our book about Curaçao! And just this week we've managed to sell 406 copies!!! We got 2 big orders. So it's 3406 books right now. Thank you all for buying our book and for giving it away as present to friends & family! I just got back from 2 weeks in Curaçao and we made plans for a new book and another very cool project. We are also working on a birthday calendar and postcards, I'll post a sneak peak soon. Here are some pictures of the great place I was staying! I made the photographs for their website & brochure and for an article in the Bon Biba. They are opening soon, and I'll let you know when they do. If you want to order the book for Valentine please go to the webshop @www.divas-publishing.nl and get the book without shipping cost until Februariy 14th!! Curaçao Travel Guide available in Dutch & Belgium bookstores! As of today the travel & leisure guide: Curaçao, The Secret, Unmarked, Beloved & Stylish is available in bookstores in Holland & Belgium :-). And on www.bol.com & www.divas-publishing.nl. On Monday I drove to the depot of "Centraal Boekhuis" to deliver the books. Kristel is working hard to get everthing in place with Amazon.com, we will let you know when the book can be ordered in the US. EUR 24.95, including tax and excluding shipping. English edition, Publisher: Divas Publishing, Inc. Sneak peek of our latest books! Divas Publishing, Inc. creates & publishes beautiful books with quality editorial content and amazing photography. We want to “make a difference” e.g. distinguish from other books in terms of look, content & price. Next to books we publish calenders, postcards and Divas Publishing organizes a photo exhibition every year. Divas Publishing, Inc. cares about the environment and the impact we have on it. We choose our printer Chevallier because they developed an extensive Environmental Management System embracing all activities and measures to preserve the environment and create a better society. “The environment, our care” has been part of their policy and company objectives since 1986. Texts by: Kristel Slagter, a lawyer in the financial services industry with a passion for the arts, architecture and interior design decided to follow her heart and produce and publish stylish books. Together with Eef Ouwehand she established the publishing company Divas Publishing, Inc.
Photographs by: Eef Ouwehand specializes in portrait and contemporary photography and has produced advertising and editorial photography for websites and magazines. With her creativity she captures the uniqueness of all things beautiful. She lives and works in Amsterdam, the Netherlands and Curaçao.